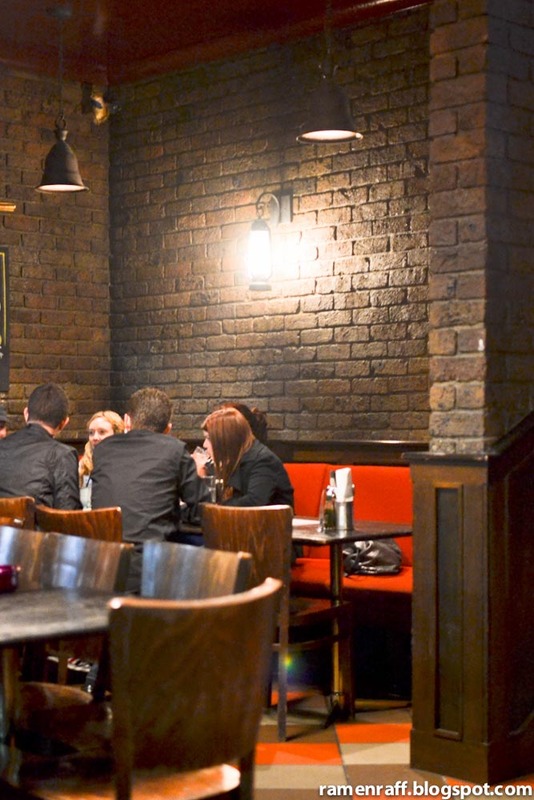 The Drink 'n' Dine group has brought a refreshing vibe into the Sydney bar and pub scene in the last year. It seems like every place that this group touches turns into gold. Places like The Carrington and Queenies is proof to their success. It's also thanks to the genius mind of their executive chef, Jamie Thomas, every venue offers delicious dishes. 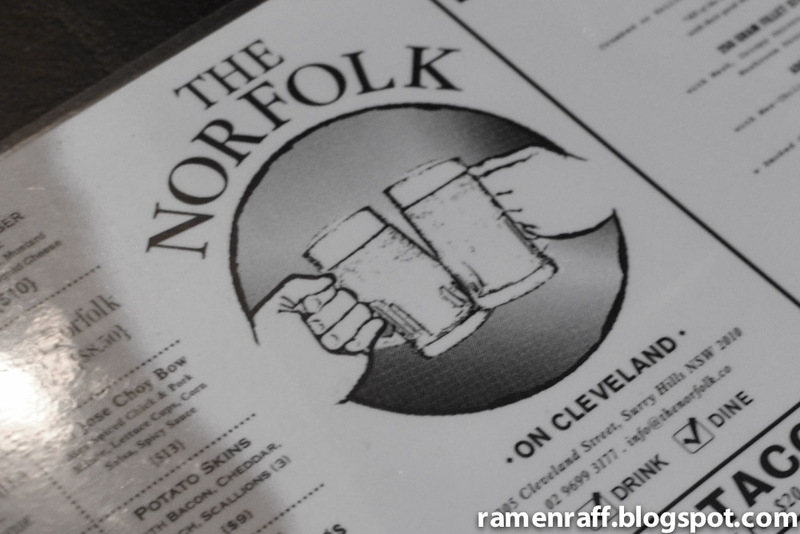 One of my favourite Drink ‘n’ Dine bars to eat at is The Norfolk. The Norfolk is located on Cleveland Street, Surry Hills. 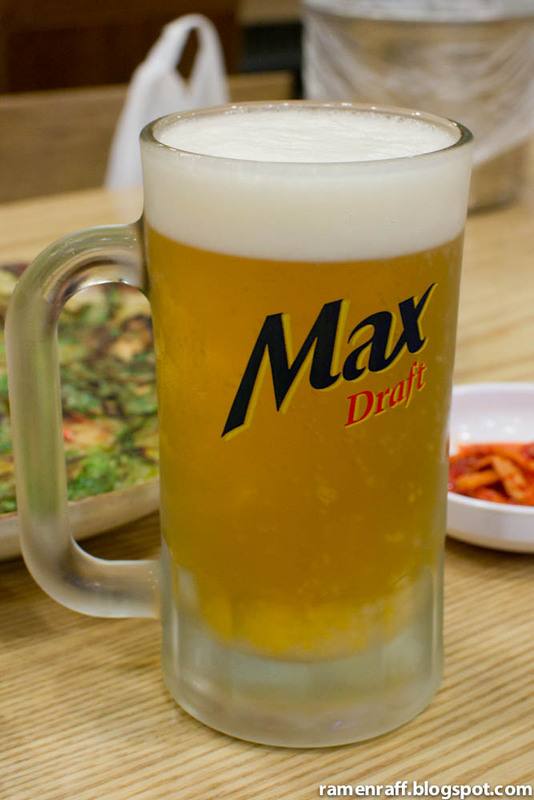 The place has a friendly pub feel. 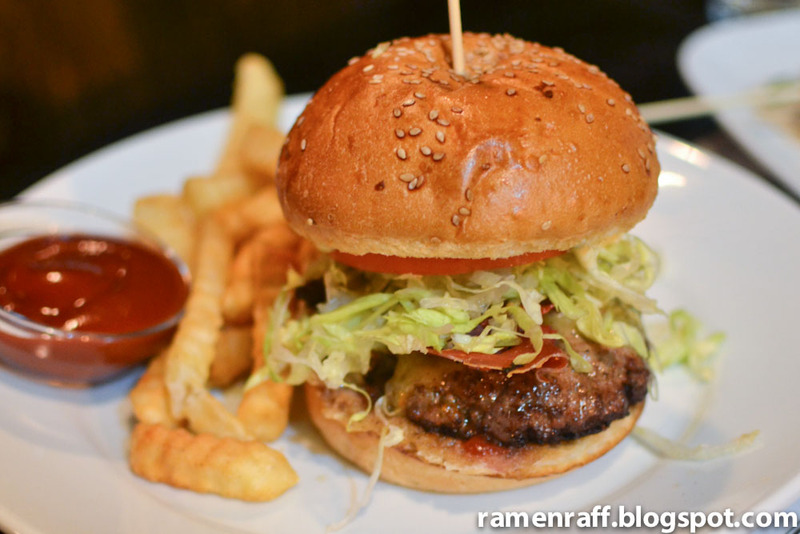 They serve a wide range of comfort food consisting of deep fried dishes, burgers, sliders and ribs. The menu had me at burgers! 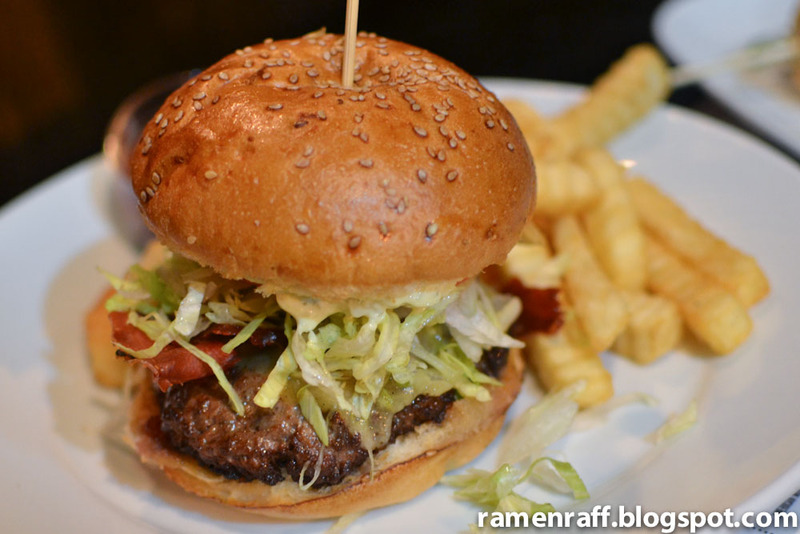 I had their beef burger ($18.50), which was a two-handed (it was so big that it required two hands to eat it) burger with a side of fries. It had a juicy beef patty, cheese, pickle, sauce and bacon. The bun was soft and fluffy but also held the contents well. 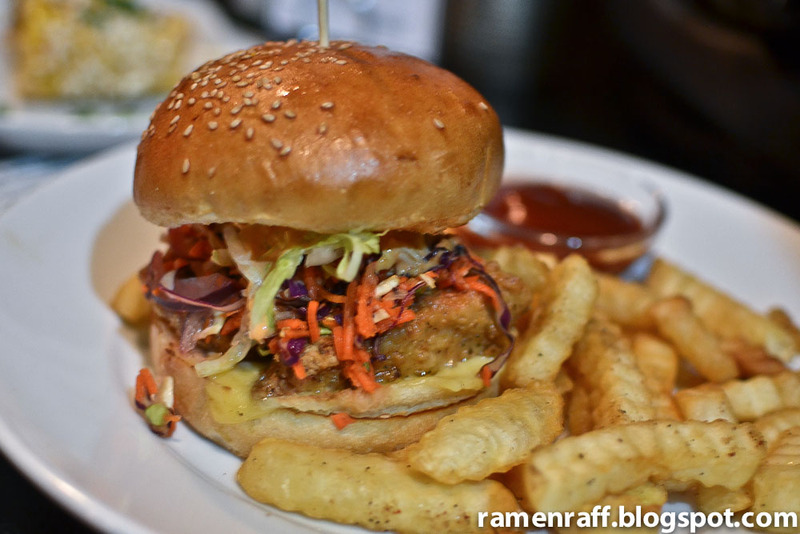 The chicken burger ($17) had deep-fried chicken breast, Asian slaw, cheese and Sriracha mayo with a side of fries. Cooking chicken breast right is the hardest thing to do but the chicken in this burger was deep fried well. The meat was still moist whilst the batter was very crispy. The slaw, mayo and cheese worked well together. 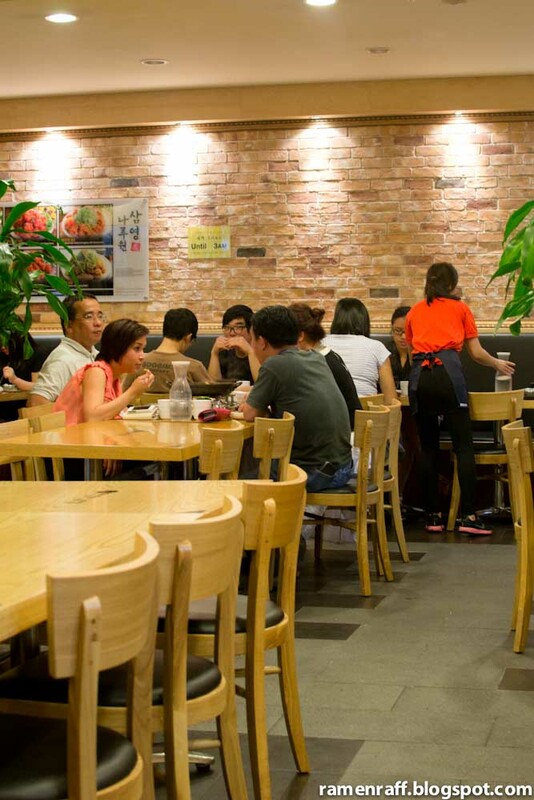 The barbecued sweet corn ($5.50) is one item not to be missed. 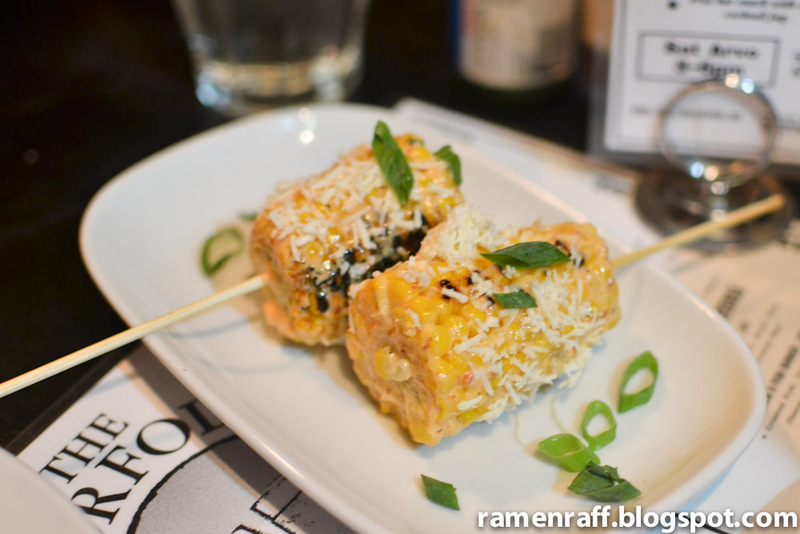 It is no doubt one of the best barbecued corn dishes I've had. The smokey taste of the corn goes perfectly well with the chipotle mayo, cheese and lime. As much as I would love to try items such as deep fried pickles and pork belly roll, I was already too full. I guess that's just more reason to return and try all the other awesome food on the Norfolk menu. Some of my happiest childhood memories just happen to revolve around food. These happy times include Friday pizza nights, burgers and a lot of fried chicken. Most kids I knew get excited with playgrounds and new toys. Food was more up my alley back in the days. Not that a lot has changed nowadays as food still continues to mesmerise me including my love for fried chicken. 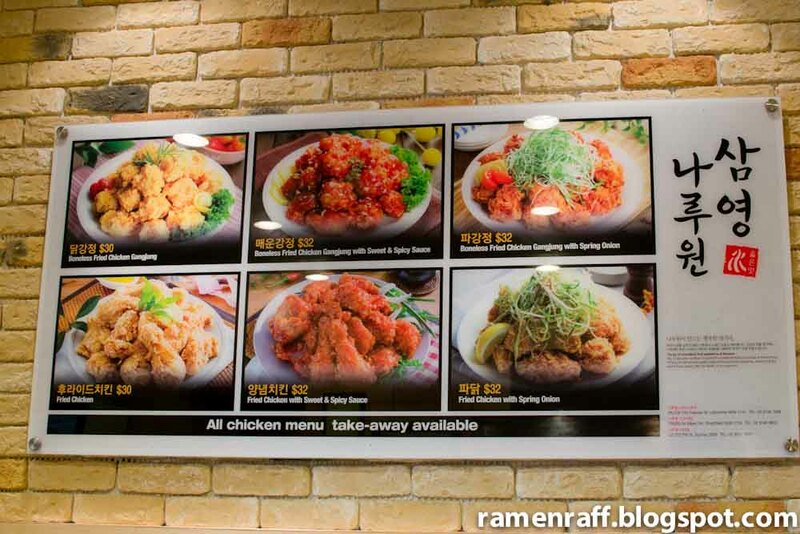 In Sydney, we are blessed with so many fried chicken places. 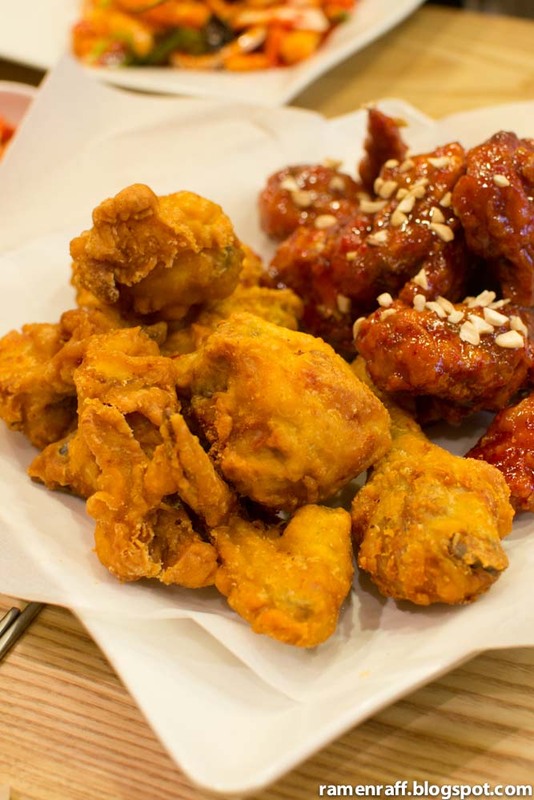 A recent discovery by Helen and a confirmation by Billy has made way to a happy place that served awesome Korean Fried Chicken. 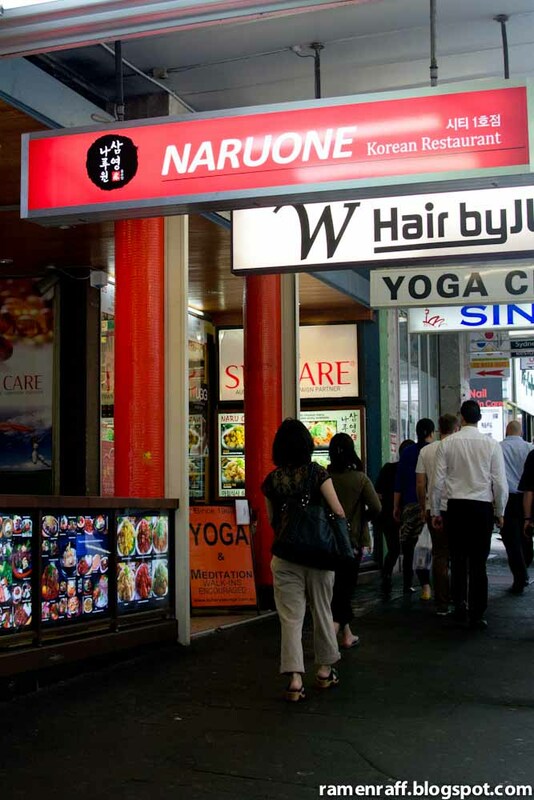 This happy place is known as NaruOne. 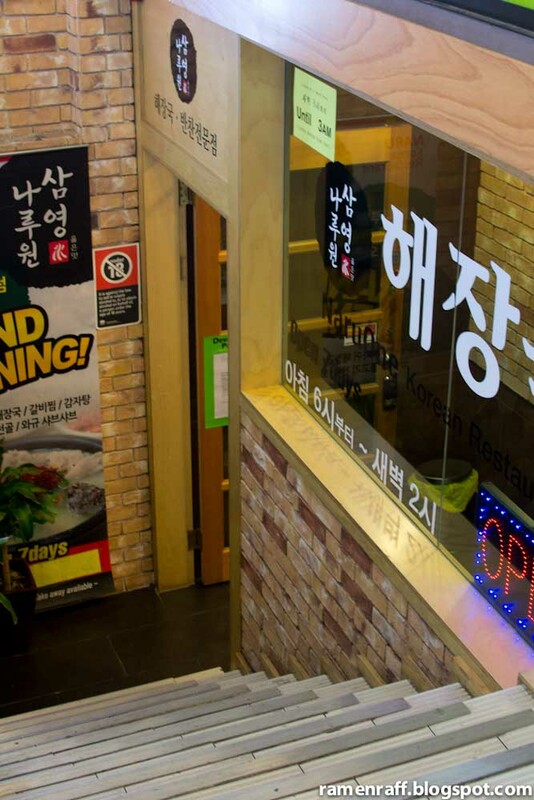 It is located in a lower level (just below street level) of a building on Pitt Street (now known as Korea Town). The place was very casual and nicely lit. 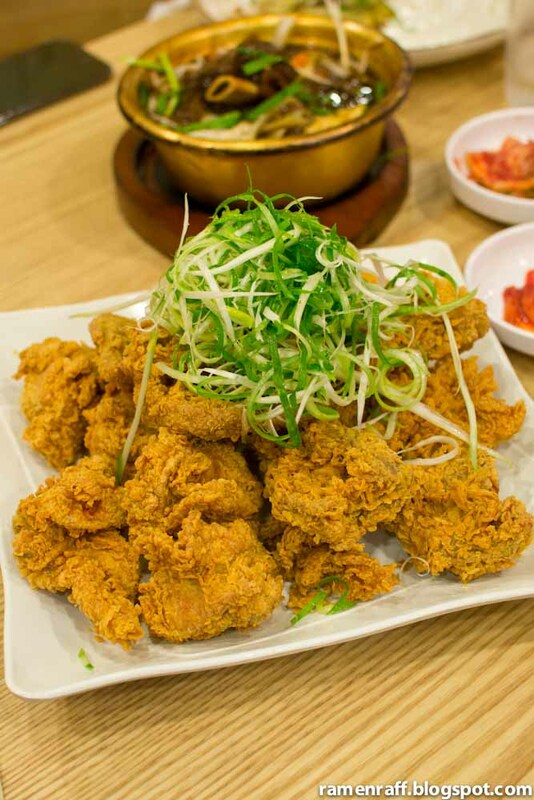 I visited twice just to be able to try varieties of fried chicken they had to offer. We were also able to sample some other dishes. 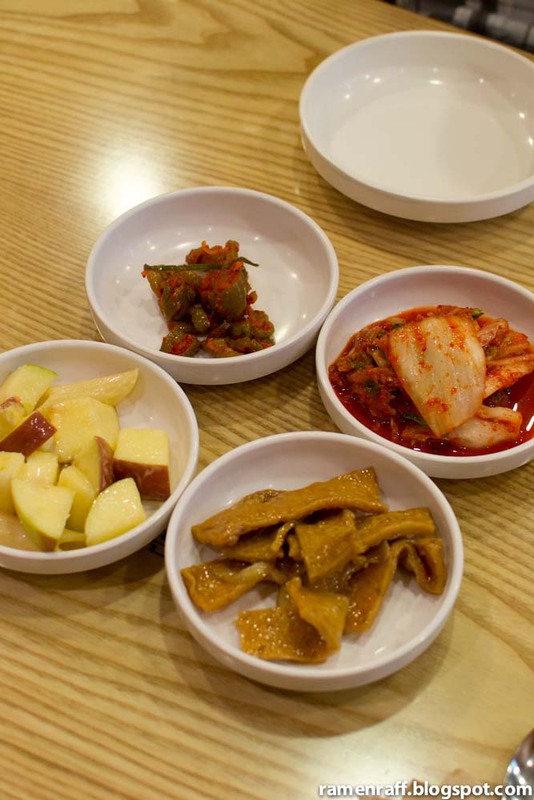 Just like any Korean restaurant, the dishes come with tasty complimentary banchan (Korean side dishes). 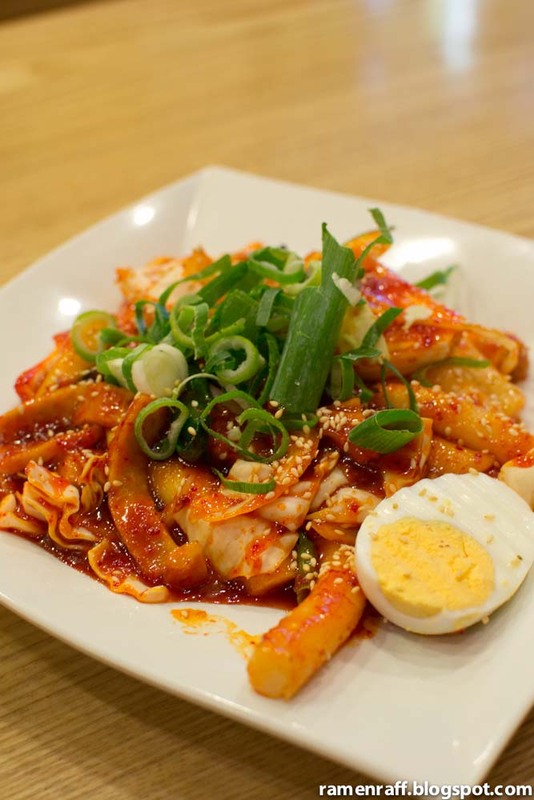 The rice cakes stir fried in chilli sauce was very flavoursome with some hints of sweetness.But be warned! It is not for the faint-hearted human. It is super spicy! Down to business, we were here to check out the fried chicken! On our first visit, The Heart of Food and I chose a half and half plate of fried chicken ($33). 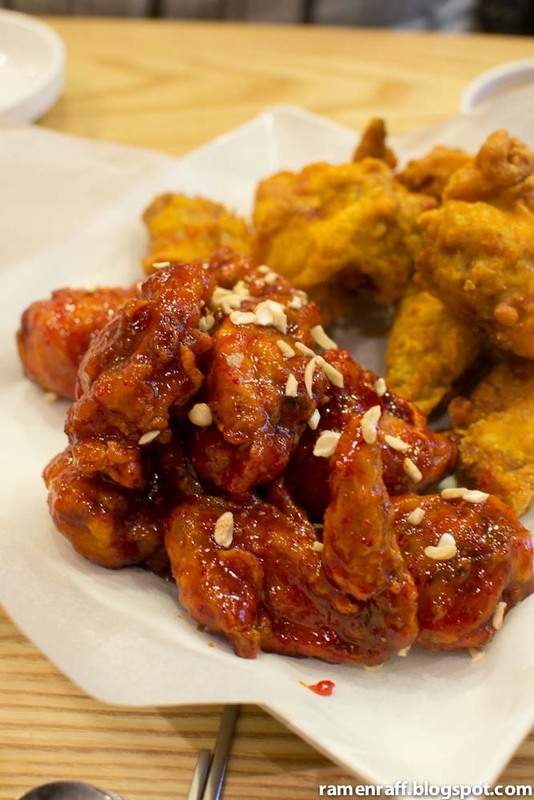 We had a mix of the original and sweet and spicy chicken. 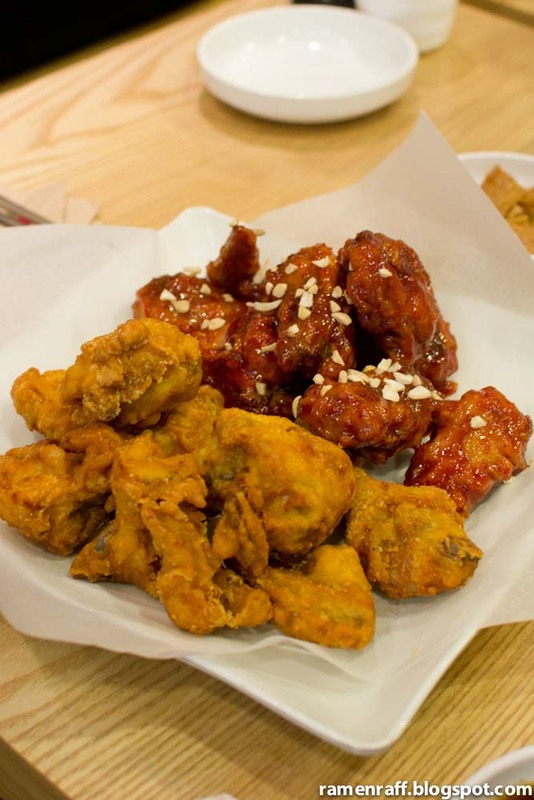 The sweet and spicy fried chicken had a strong garlic flavour, more than what I would prefer but still tasty. Even if the original fried chicken didn't have the rippley batter, it still had a crisped texture and was very delicious. Just when we thought the first visit was awesome, the next visit was another level of awesomeness. 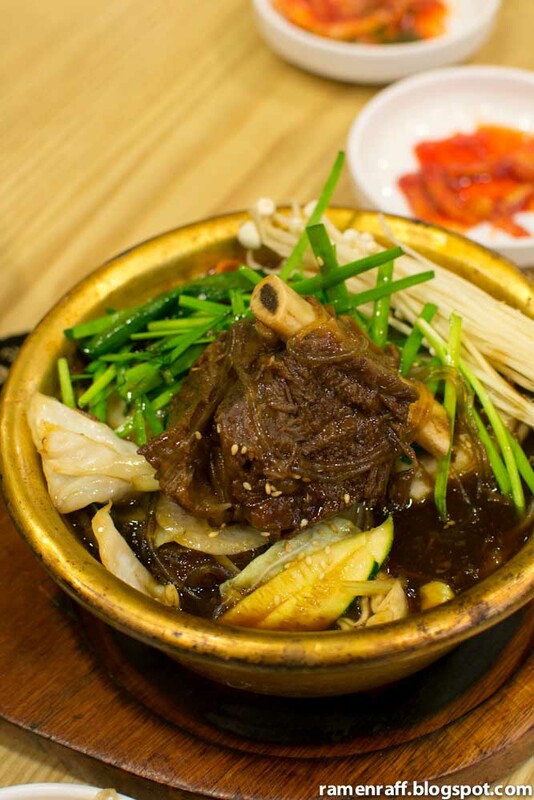 The braised beef short ribs ($19 - small size) comes with a choice of either mild or hot sauce. We opted for the mild version. It was tender indeed and it came with sweet potato noodles and sauce that reminded me of sukiyaki, only with a thicker consistency. 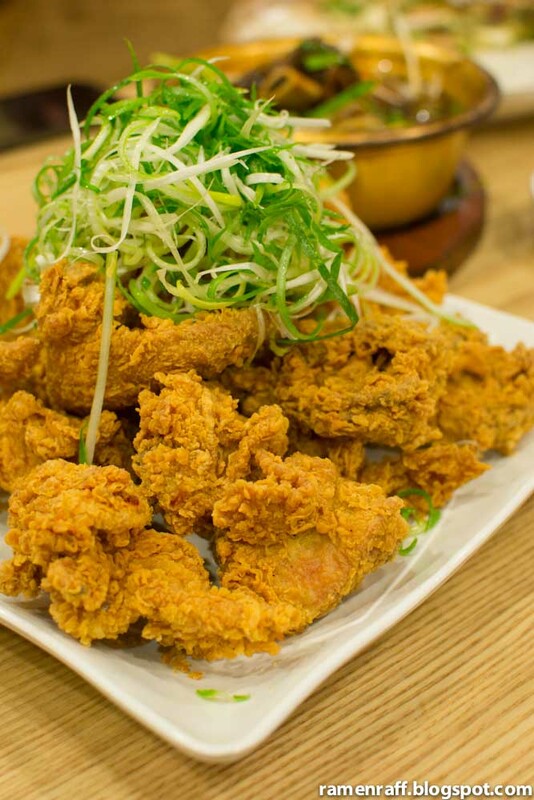 I now see why NaruOne's fried chicken with spring onion ($32) has been crowned by Grab Your Fork as the current best fried chicken in Sydney. The beautiful ripples on the golden batter provide the ultimate crisp and crunch experience. Once you get into the flavourful meat, it's like a party that will make your palate dance like there's no tomorrow. 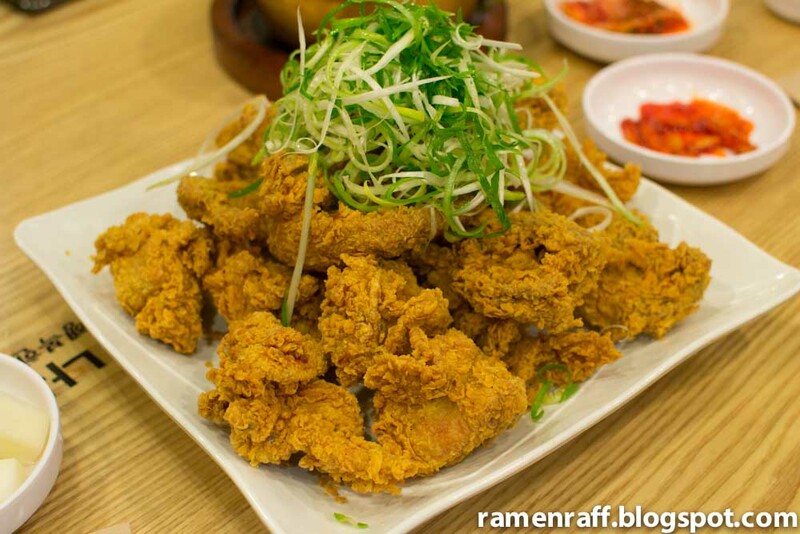 It is also not as oily compared to most fried chicken dishes that I've had. Also included with the plate of chicken pieces was a teriyaki-like sauce that had hints of what tasted like wasabi or English mustard. In my honest opinion, it is currently the best Fried Chicken in Sydney. NaruOne's secret is out and for all to enjoy. Another Ramen Raff Happy Place has been found.